A leader of an Islamic State affiliate in Egypt's Sinai Peninsula has been killed, according to an announcement from the terrorist organization. Abu Jaafar al-Maqdesi was killed earlier this month, although the circumstances of his death are unclear, the Associated Press reports. In 2014, the terrorist organization known as Wilayat Sinai declared allegiance to Islamic State. The ISIS affiliate increased its operations in the wake of President Mohammed Morsi’s overthrow in 2013, and the subsequent crackdown on the Muslim Brotherhood. Wilayat Sinai claimed responsibility for destroying a Russian jetliner over the Sinai desert which killed over 200 people in 2015. The group has also targeted Egypt’s Coptic Christian community in the Sinai Peninsula and elsewhere in Egypt. In April 2017, two bombings targeted Coptic churches on Palm Sunday, killing or injuring over 150 people. In December, at least nine were killed during an assault by militants on a Coptic church in Cairo. Earlier this year, Egypt launched a major operation against ISIS in the Sinai Peninsula. Egypt amassed up to 42,000 troops in the Peninsula at the start of "Operation Sinai 2018." Two weeks ago, security forces killed 11 militants in North Sinai province, bringing the total number of militants killed to around 260 since the start of the operation. The Congressional Research Service has pointed out that military operations against ISIS-affiliated militants face several challenges. Geographically, for example, the peninsula’s mountainous terrain is conducive to freedom of movement for militants. The Palestinians and Bedouin Arabs that make up most of the population in northern Sinai also have an uneasy relationship with the government. Human rights organizations have criticized the Egyptian government’s conduct of counterterrorism operations. 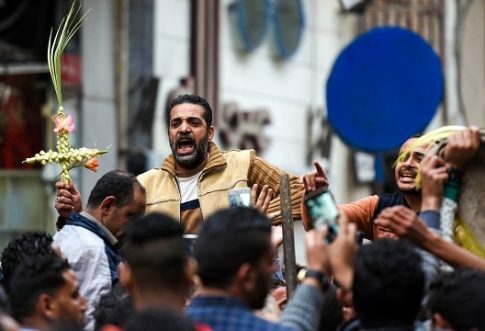 A recent report by Human Rights Watch claimed, "Egyptian authorities are increasingly using counterterrorism and state-of-emergency laws and courts to unjustly prosecute journalists, activists, and critics for their peaceful criticism." "While Egypt faces security threats, the government of President Abdel Fattah al-Sisi has exploited these threats cynically as a cover to prosecute peaceful critics and to revive the infamous Mubarak-era state security courts," said Nadim Houry, director of terrorism and counterterrorism at Human Rights Watch. This entry was posted in National Security and tagged Egypt, Islamic State. Bookmark the permalink.